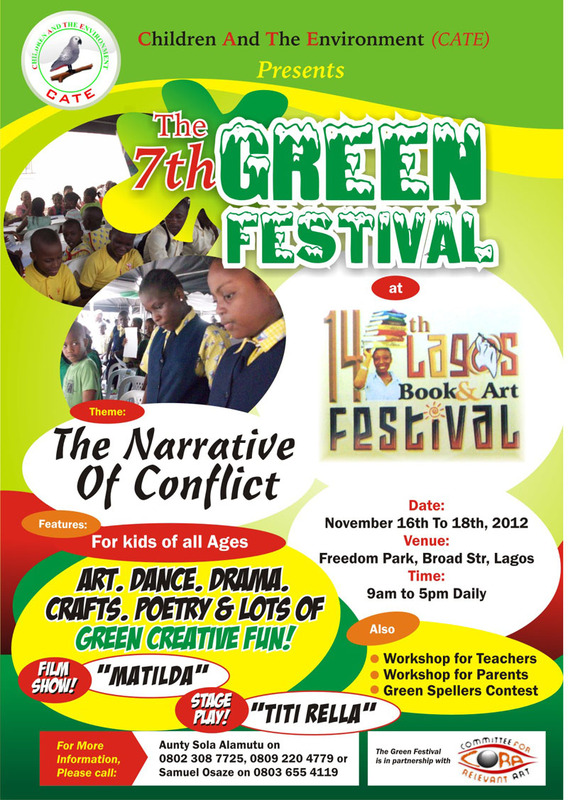 I am really exited to be facilitating two sessions for the Green Festival at The Lagos Book and Arts Festival this Saturday the 17th of November. Its going to be a whole day filled with all the things I am passionate about. Women, art, culture literature, and young people. Touch wood some Freedom Park spicy fish will be thrown in there somehow. I was invited by Shola Alamotu who is involved in children and green advocacy. She heard me speak at an international womens day event earlier this year, so decided to include me on the programme. Then from 2.30, I will be moderating a discussion and debate panel on conflict resolution in the home, school and community. Wish me luck and hope to see you there.